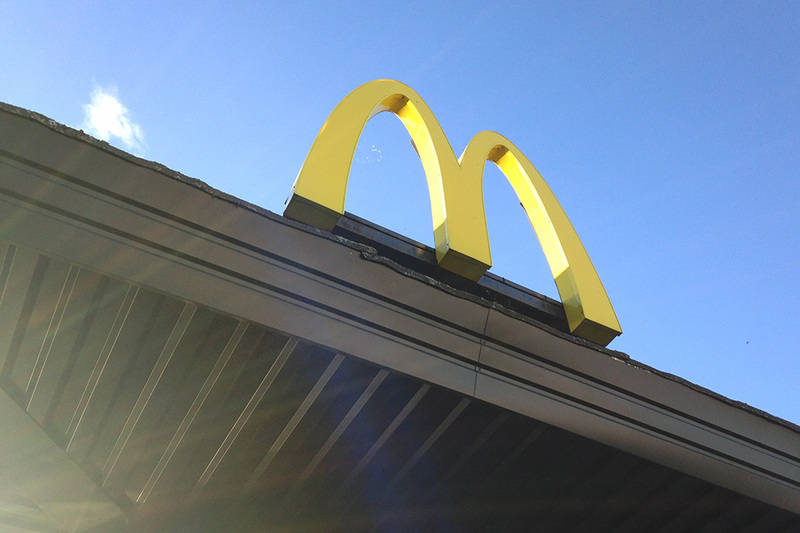 McDonalds wants to connect with their customers in real-time, wherever they are. That was the message served up by one of the burger chain’s digital marketing managers at a recent conference, when he announced they would roll out 14,500 Facebook pages in the US by the end of 2015. Pie in the Sky – Have McDonald’s bitten off more than they can chew? What happens in the States doesn’t always go down well with in the UK, but if it works, the 1200 outlets in these isles could have a Facebook page on the menu too. Many businesses struggle to run a single Facebook page well, and with the widespread disdain surrounding organic reach, it seems an inappropriate time to invest so heavily in Facebook. Certain questions have to be asked. Will each page be manned by staff, regional managers, or will it be Big Macs all round for the PR agency in charge of McSocial. And in turn, each of those questions leads to more questions. Will we have to wait at the drive-thru, while Kev tries desperately to earn himself an extra star posting the contents of white van man’s calorie-laden lunch. Will the tills be fitted with a social button, so when they ring up the price and subtotal it, it feeds Facebook with a ‘I just sold a Double Cheeseburger meal with Chocco Latte #kev’. Or will feedback from a much higher level make the pages too shallow to be meaningful. Or god forbid, a feast of specials. Is it a PR exercise to sell more burgers, or have McDonald’s identified a few minutes of unused staff time in the twilight zone between breakfast and lunch, if you can call it that. Or will McDonald’s actually turn up the heat and show other brands how a fast food joint can dominate social media in their niche. There’s two things about this article that worry me. The first is that it appears the idea has had a luke-warm (no pun intended) response from individual outlets. So the restaurant staff are not jumping with joy at the prospect of being let loose with the Facebook logins? Joking aside, if the outlets are not behind it, the pages will be as exciting as a bag of cold fries. Secondly, and rather ambiguously, the article says ‘the project will be supported by ads’. What exactly does that mean? Will McDonald’s spend part of their ad budget on telling the world they are officially the largest brand on Facebook, or have they done a deal with Mr Z for a cut of advertising revenue generated through their pages. Or are they just going to be rolling out ad after ad in the timeline? And I suppose the answer to that depends if you’re in their demographic!